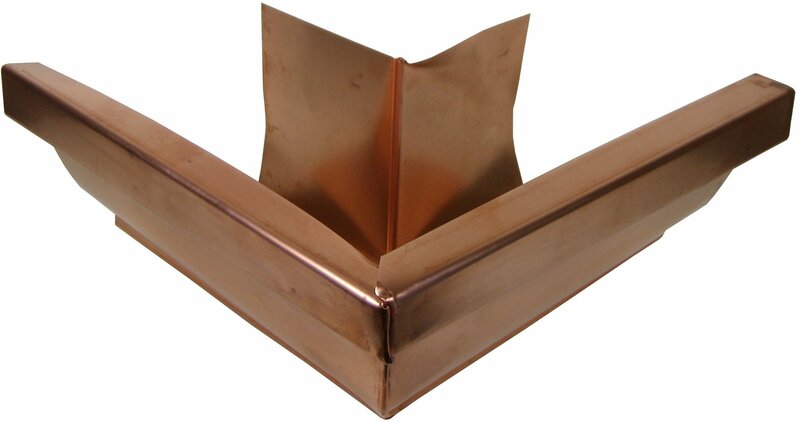 Copper Miters, or corner pieces, are the gutter fittings that connect two gutters at a corner. 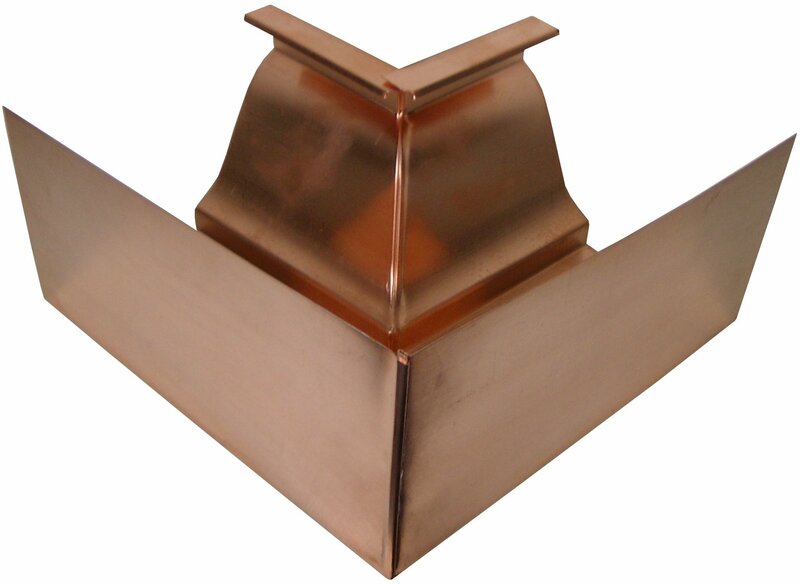 K Style Box Miters are the corner pieces made up of two pieces of K Style gutter that are seamed together. These are the contractor's favorite for K Style gutters because they look good and are fast and easy to install. Good for 90 degree corners. K Style Strip Miters require the two adjoining K Style gutters to be cut on 45 degree angles. Strip miters are preferred by contractors who only want one seam per corner. Good for 90 degree corners. K Style Bay Strip Miters are the same as strip miters but work on corners that are 45 degrees. Adjoining K Style gutters need to be cut at 22.5 degrees each. Great for bay windows. 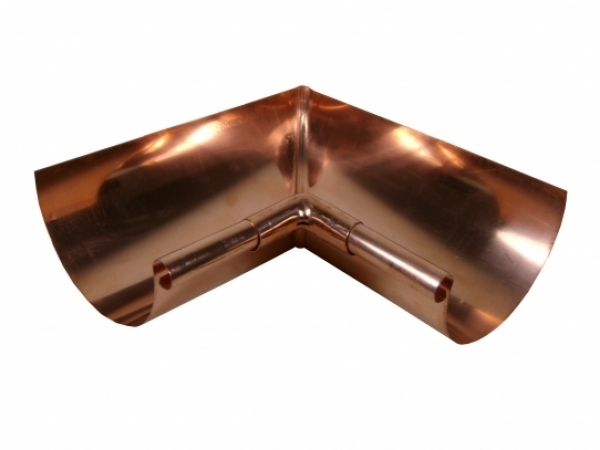 Half Round Miters are the corner pieces made up of two pieces of Half Round gutter that are seamed together. These are the contractor's favorite for Half Round gutters because they look good and are fast and easy to install. Good for 90 degree corners.